Genevieve Jensen, age 82, of Brandon, WI, passed away on Monday, January 14, 2019 at St. Agnes Hospital in Fond du Lac, WI. Genevieve was born on January 31, 1936 in the Town of Winchester, WI, the daughter of Henry and Verna (Angell) Hansen. On June 23, 1961 she married Eugene Jensen in Bettendorf, IA. Eugene passed away on May 10, 2015. Genevieve was an incredible seamstress and made many Letterman Jackets and uniforms for athletes while working at Ripon Athletics. 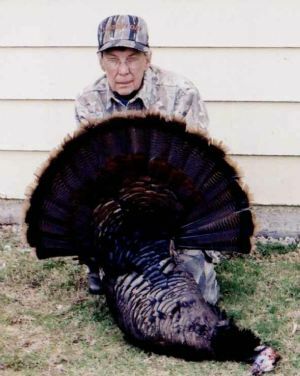 She enjoyed the outdoors and was an avid hunter. Genevieve loved to laugh, and family was most important to her. Genevieve is survived by her three children, Michael (Mary) Jensen of Prior Lake, MN, Kirt Jensen of Brandon, WI, and Tammy (Doug) Hallum of Albert Lea, MN; four grandchildren, Brad (Jodie) Jensen, Brian Jensen, Angela (Dan) Brown, and Justin (Jackie) Jahnke; seven great-grandchildren, Sienne, Zoe, Haley, Logan, Kiahna, Liam, and Genevieve; three brothers, James Hansen, Ron (Judy) Haase, and Roger (Jean) Haase; two sisters, Mary Ann Pike and Linda (Duanne) Nitz; sisters-in-law, Barb (Bill) Drecktah, Fay Hoffman, and Ginny Hansen; and many nieces and nephews. Genevieve was preceded in death by her parents, Henry and Verna Hansen; husband, Eugene Jensen, Sr.; a son, Eugene Jensen, Jr.; an infant daughter; four brothers, Floyd Hansen, John Pollack, Paul Haase, and Bud Hansen; brothers-in-law, Alfred and Clayton Jensen; and her best friend, Duke, her Black Lab. Visitation for Genevieve will be held from 10:00 am until 11:00 am on Friday, January 18, 2019 at Butzin-Marchant Funeral Home, 515 Mayparty Dr., Ripon, WI, 54971. Funeral Service for Genevieve will be held at 11:00 am on Friday, January 18, 2019 at Butzin-Marchant Funeral Home, with Pastor Donald Deike officiating. A private interment will take place at Lake View Memorial Park, Oshkosh, WI. A memorial is being established in her name.